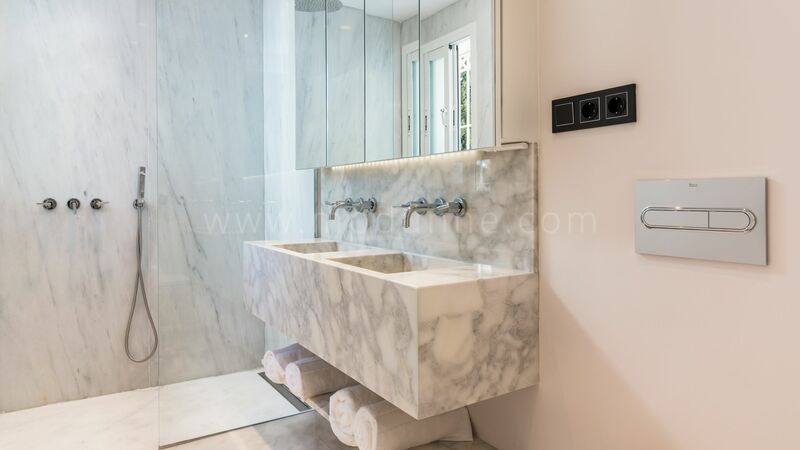 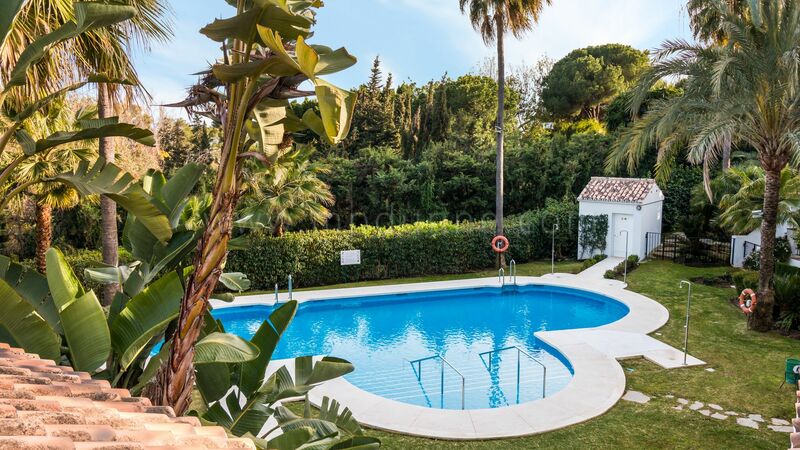 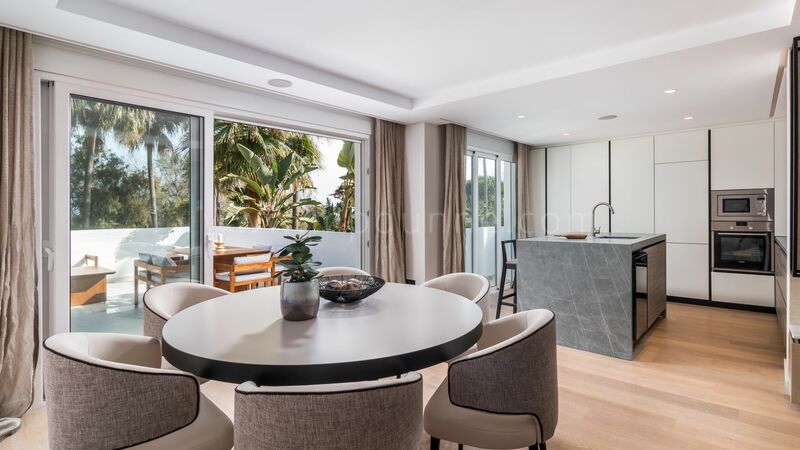 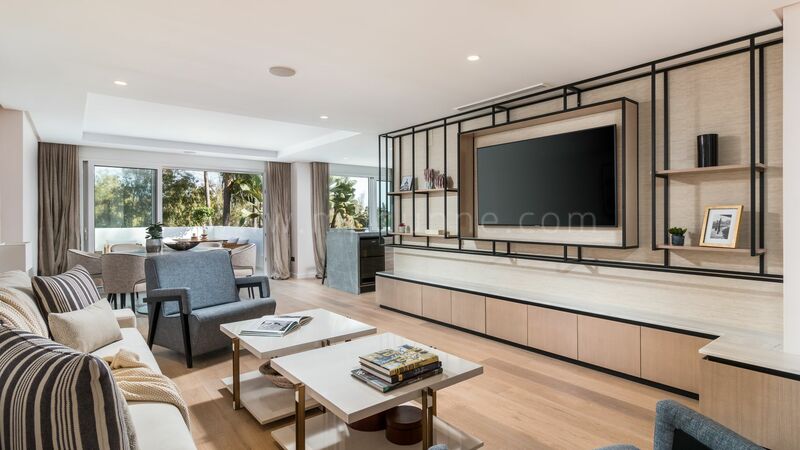 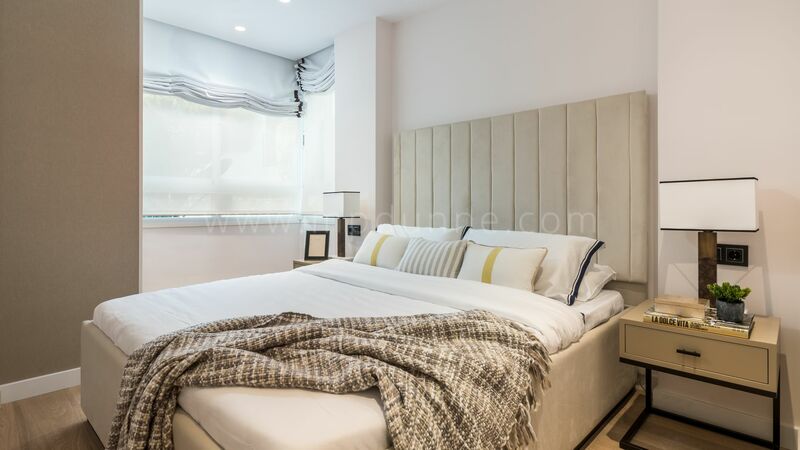 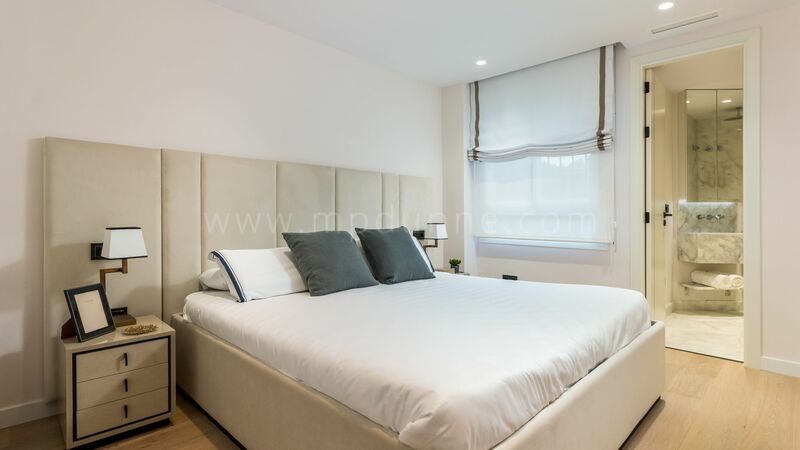 Situated in the heart of the Golden Mile, close to the famous Puente Romano Hotel, this stunning four bedroom four bathroom apartment is Ideal for permanent living or holiday home. 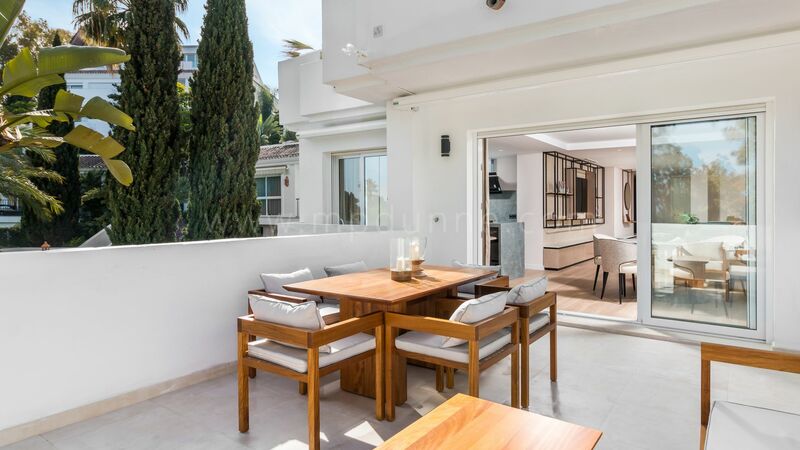 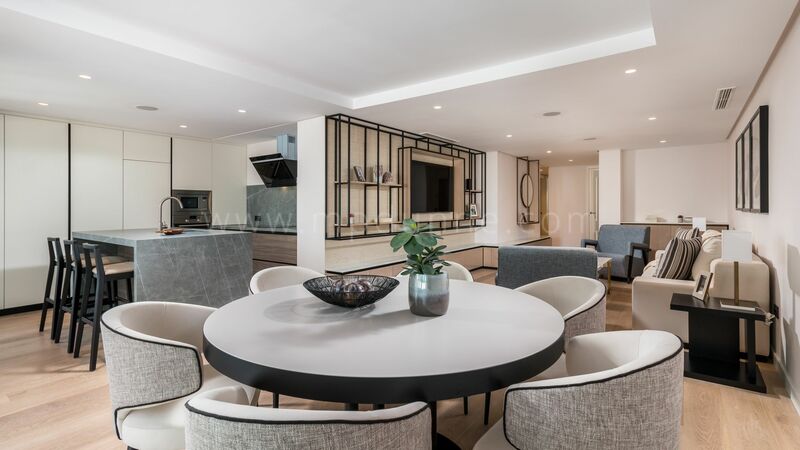 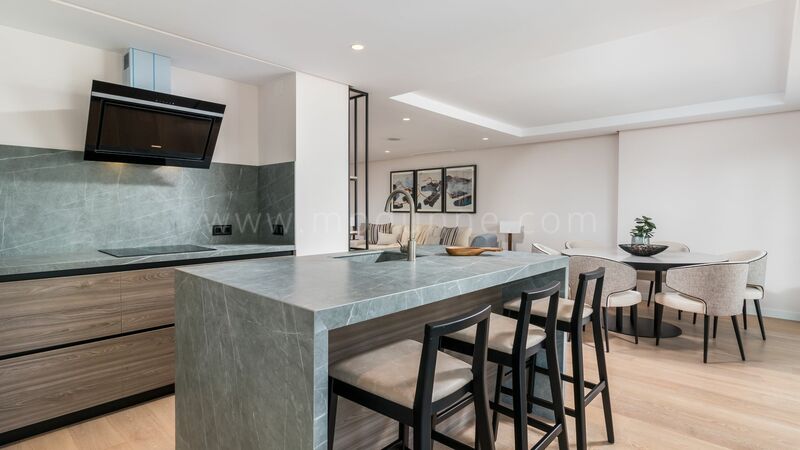 Beautifully designed with ample space, huge living-dining area with an open plan kitchen leading to a large terrace to enjoy the sunshine all day long with space for dining open air and lounge area. 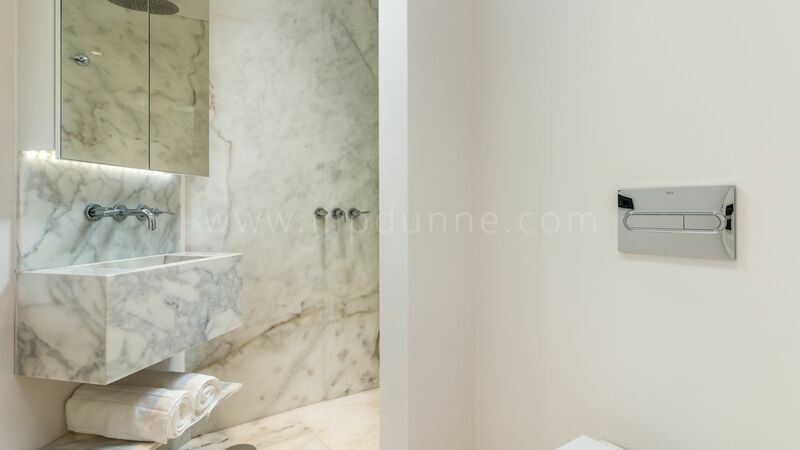 The apartment has four double bedrooms three of which are en-suite and one family bathroom. 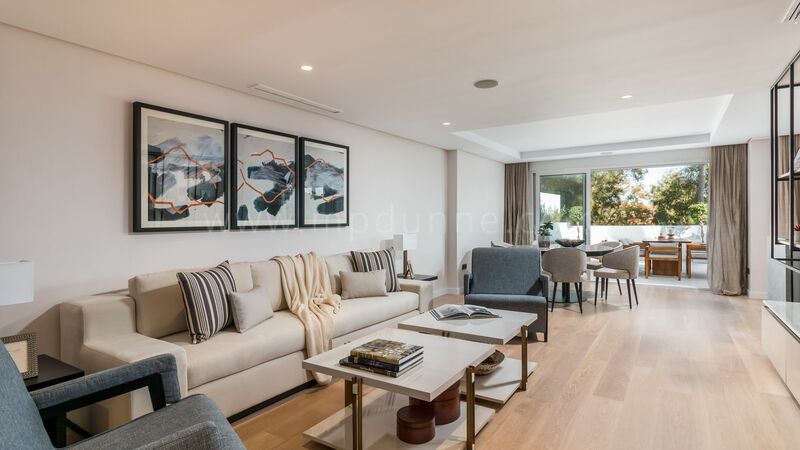 This lovely development has a double gated security entrance, underground parking with storage with communal lush gardens and a swimming pool. 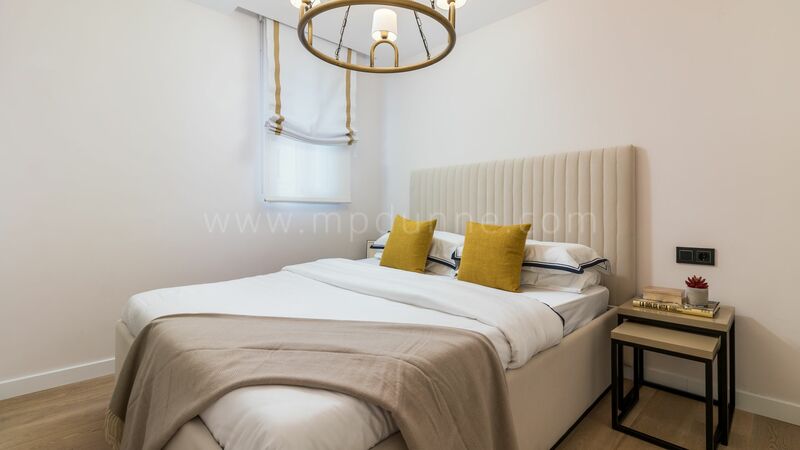 The apartment is a corner unit so you have privacy with peace and quiet to enjoy the long summer days and nights with the glamour of the Golden Mile on your doorstep.